So, I just happen to get my copy of Evolve the day before they officially released the CD. I won't however release out any of the lyrics or songs on the album that haven't already been released for respect of the band. I was really excited when I got the album in the mail, and honestly I already listened to the album like 4 times, and going onto my 5th. This was the album that I needed to get me through my senior year of college. Next Day: So I started out writing this review and kind of stopped. Mainly because I wanted to give an overview of the whole album without having to tiptoe (see what I did there?) around the other songs that have not been released yet. I literally listened to this album all day and night since I got it. I love the beats, and I honestly can't wait for the concert because it will not be a dull one. I honestly think I like this album more than Smoke and Mirrors. My favorite songs are my top songs on the album. Basically, my top 5. I love all of them but these are the songs for sure that make it to my top list. In short, I love the album, I love the feel and the vibes it sends through my bones! Keep up the good work guys! Check them out below, and also they are ON TOUR PEOPLE! Buy them tickets! I already did....Okay well you see...My birthday was June 7th, and my boyfriend came home from work and woke up me up at 2am, and surprised me with concert tickets for the Chicago show! I'm excited, and I may be doing a day in Chicago, so I'm excited! Anyways, this is a short review, hands down it's an amazing album, and I do not regret pre-ordering it! Now, if I could get an interview with them...that would be the cherry on the sundae! 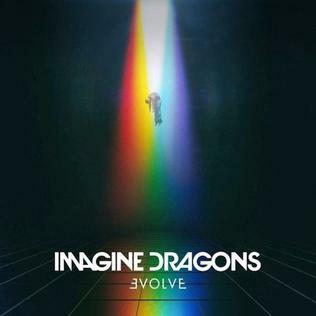 To check out more of Imagine Dragons, click on the links below!